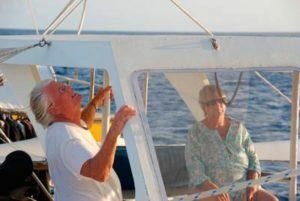 Duncan and Annie Muirhead started out in the live aboard sailing and diving tourism business with the launch of their first boat, the Misty Law in late 1969. They ran this boat themselves for many years doing five Atlantic crossings as they spent the summers in Greece and the winters in the BVI. Keen divers themselves in the early seventies they realized that diving was going to become a main stream sport, so they stopped their European adventures and pioneered the concept of living aboard a diving boat and they settled in the BVI. At that time, there was only one other pioneer in the whole world and that was Paul Humann in the Caymans. 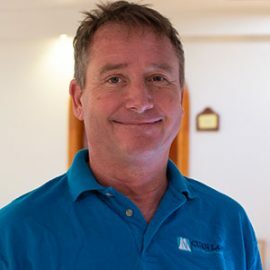 The demand for this type of diving tourism exploded so Annie and Duncan got together with a charterer, Hal McCarney who built boats. In 1978 they created their first effort, the Lammer Law, designed by Duncan and built by Hal. But Annie needed more beds so in 1988 the second aluminum trimaran, the Cuan Law was built. 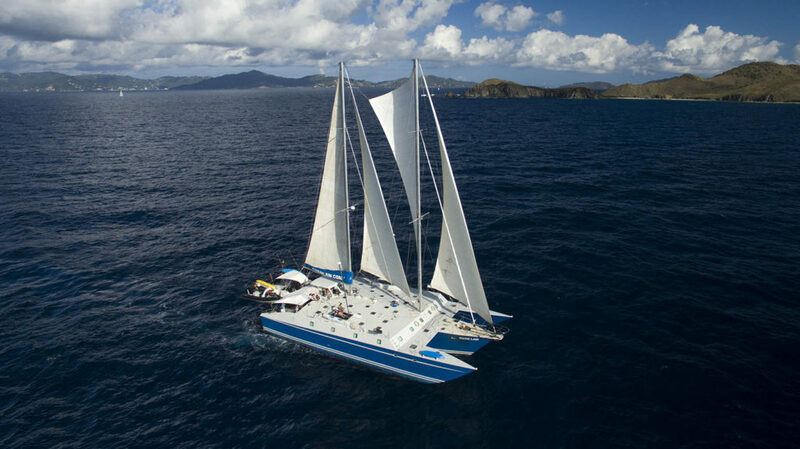 After some changes in demand the Lammer Law was moved to the Galapagos, the Misty Law was sold along another trimaran they owned and had also operated in the BVI. Annie and Duncan have believed in a simple philosophy. Take good young people and train them to work together in a friendly atmosphere but never forgetting that good service is paramount. That has been a great pleasure in their lives - to see young people develop their characters so well. Also to provide a boat for their guests that mimics a small luxury hotel with lots of activities to try. Treat non diving companions as equally as important as divers. Add really good food and the latest in a long line of amazing chefs certainly provides that! In 2017 Annie and Duncan retired but their legacy lives on and both are very free with advice to daughter Sasha and manager Kim who has almost grown up with the company having been around for 30 years and counting. Both do a fabulous job. The heart of any ship is its crew and this is even more important in a Floating Hotel. 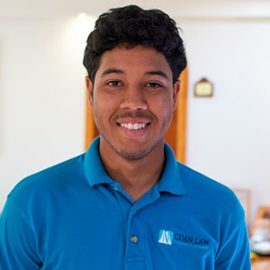 All our crew are very energetic and fun loving with a great service attitude. They have their individual specialties but all pitch in as a team and cover for each other. We normally carry a crew of seven: Captain, Chef, Engineer, First Diver, Second Diver, and two Stewards or Stewardesses. Because of crew rotation, your crew will be from the following. A few years after graduating from college when she decided to take some time to start traveling Kim first joined Trimarine the same year that Cuan Law was completed - 1988! 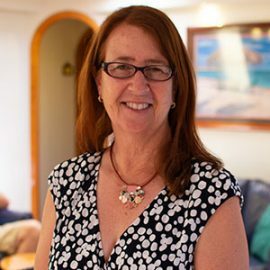 She worked on board Lammer Law initially as stewardess and then worked on Cuan Law as relief chef on and off for several years interspersed with some great trips including 3 years in Japan, before making the BVI her permanent home in 1994. 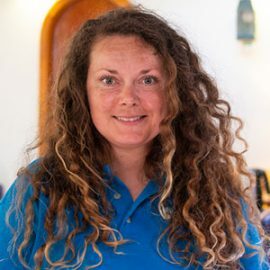 Her BVI adventures include working with small businesses, building a vacation villa and running the guest house style villa Annie & Duncan Muirhead owned, Serendipity House, until its sale in 2014. 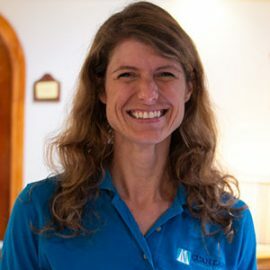 Her move to the Trimarine office in 2000 started off as a part time thing, but as time has passed and most recently with the impact of Hurricanes Irma and Maria in September 2017 Kim has taken on more responsibility. It is most likely that you’ll reach her when you email or call us! We believe that CUAN LAW is the largest sailing Trimaran in the World. She is constructed of all welded aluminum and was designed by her owners and built in Canada. Owner: Trimarine Boat Co. Ltd. Guest Accommodations: Ten two person staterooms with private bathroom, all available as either Queen or Twin.